Eyres designs and manufactures state-of-the-art safety eyewear and sunglasses for industrial applications. Our extensive range of specialised safety eyewear has been designed for use throughout various industries dealing with hazards such as dust, impact, chemical, water, heat and electric applications, supplying a high level of prescription and non-prescription safety. The company’s products feature high-quality polarised and photochromic lenses, innovative coatings, bifocal magnifying readers, and durable safety frames. Eyres offers an extensive range of optical eyewear to protect eyes and optimise the wearer’s vision. Using the latest technology in frame and lens-certified packages for the most adverse situations, they ensure optimum comfort, fit and vision. The unique combination of advanced lens design from Shamir with the tough, durable and stylish frames from Eyres provides the optimal solution in prescription eye protection. Eyres’ prescription eyewear is certified to the Australian and New Zealand standard AS / NZS 1337.6, and is available in single vision, bifocal and progressive lens types. Eyres’ collection of positive seal foam-backed frames and goggles have been manufactured with non-allergenic washable face foam and are designed to provide added comfort and protection from dust, dirt, splash, wind and other airborne particles. Anti-fog coating applied to all lenses provides wearers with clear, distortion-free vision under any condition, providing clients with more confidence and focus in performance. Eyres’ goggles feature interchangeable anti-fog lens, vented and non-vented frames, and are ideal for advanced protection against fumes, smoke, heat, and cold. Developed to withstand heavy impact, Eyres’ Tough As collection features strong, highly flexible and durable frames, and is ideal for those requiring durable, long-lasting eyewear. The stylish wrap frame design provides wearers with high levels of ocular coverage, protection, visual clarity and comfort. 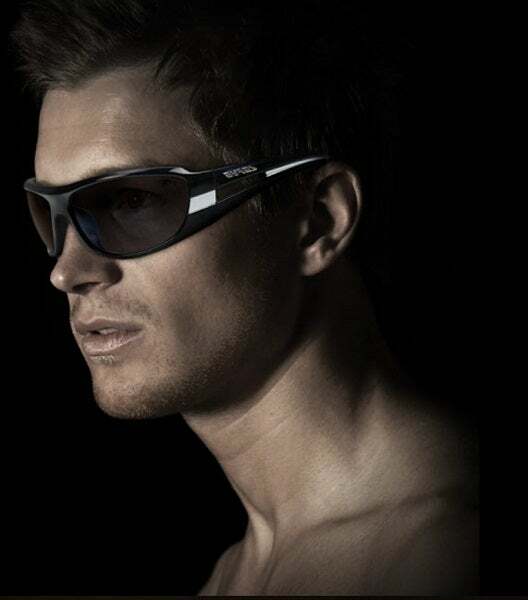 Available with positive seal and standard frame designs, polarised grey, tinted grey and clear anti-fog lenses. Eyres offers a select range of ballistic eyewear that is certified to MIL-PRF-32013: military / ballistic standard. This eyewear provides optimal vision, lightweight frames for ultimate comfort, ballistic protection, and compatibility with tactical gear such as helmets. Features include polarised grey lens, adjustable nose and temple pads for extra comfort and security, flexible temple tips for under-helmet wear and a removable antiperspirant foam brow bar. Eyres’ photochromic range showcases the latest innovation in extreme temperature sensitivity (ETS) lens coating, which responds to light conditions regardless of the ambient temperature. EYRES ETS lens are suitable for all climates and conditions, as well as outdoor applications, as they have a high response level to both ultraviolet (UV) and visible light. Blinding glare is created when light is reflected off smooth and horizontal shiny surfaces such as roadways, metallic surfaces, sand, water and snow. The company’s polarised sunglasses and lenses also enhance the visual experience by controlling the glare, allowing the wearer to see clearly. Eyres’ safety glasses feature lenses with bifocals moulded directly in the lens to enable wearers to read in hazardous environments without having to remove their safety glasses. All bifocals lenses are polycarbonate and provide 99% UV protection. These magnifiers are manufactured to our stringent quality assurance guidelines and are tested in-house using our proprietary quality control system, to ensure they comply with the optical requirements of AS RREP: 2014 – Bifocal Ready Made Eye Protectors, which meet the impact-resistance and transmittance requirements when tested to AS1337.1 2010 Personal Eye Protection. Eyres’ ready readers are certified to meet these requirements under SAI Global License number PPE40002. Eyres was among the first to design high-quality, impact-resistant and ergonomic eyewear that provides unique comprehensive eye protection for adverse Australian environments. The focus of the company’s research and development (R&D) team is the continuing advancement of materials, manufacturing processes and product quality for the benefit of customers and the environment. Eyres’ global R&D centre in Perth, Western Australia, coordinates the ongoing technical knowledge transfer and exchange of experience among the subcontracting manufacturing plants. All of the company’s eye protectors are independently certified to the relevant Australian standard. Eyres’ prescription safety eyewear carries its licence number and stand number AS/NZS 1337.6. Plano or non-prescription eye protectors carry the stand number of AS/NZS A1337.1, as well as relevant markings in accordance to their type.